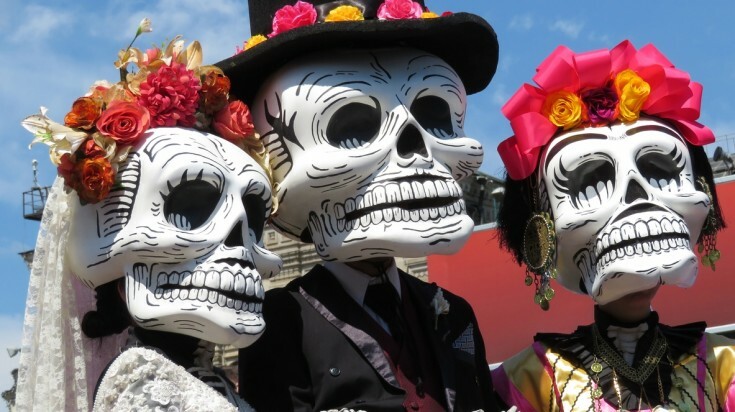 From Halloween in the US to the Day of the Dead in Mexico, the desire to connect with the supernatural is intrinsic to every race. Ghost stories terrify us but also thrill us, and it’s exactly because of this mysterious curiosity with the unknown that we’re drawn towards the extraordinary. But beyond the customary costume parties and jack-o-lanterns are a host of other Halloween-like events that celebrate the dead and the powers that lie beyond. From festive parades that summon the departed to more solemn ceremonies that ward off malignant spirits, here’s a list of some of the world’s most popular Halloween-alike traditions. Calaveras are central to Dia de Los Muertos celebrations. Skulls, skulls, and more skulls — the Dia de Los Muertos (Day of the Dead) in Mexico is one of the world’s most popular events, and all because of its colorful costumes and iconic skull makeup. Originally celebrated in Mexico on November 1 to 2 but now observed around the world, Dia de Los Muertos celebrates the dead with lots of food — but they’re mostly for weary souls that have descended from heaven to join their families. Home altars are stocked with fruit, meat, beverages, and pan de meurto (bread of the dead), while toys are left for children who have passed away. In cemeteries, graves are adorned with Aztec marigolds and Calaveras (skull decorations made from sugar or clay). What better way to celebrate Halloween than in the legendary castle of Count Dracula, the world’s prototypical vampire? Each year during Halloween, people around the world flock to Transylvania’s Bran Castle where they can explore hidden tunnels and wander through secret staircases, all while learning about the history of the 14th century fortress and its significance to Bram Stoker’s 1987 novel. The vampires are fictional but the fun isn’t, as costume parties attended by more than a thousand revelers are held here every Halloween night. The Hungry Ghost Festival sees people offering food to the ghosts. On the seventh month of the Lunar Calendar, the Gates of Hell open in Hong Kong and allow spirits to roam free to haunt the living. Two weeks of lumbering around and visiting their families have made these restless spirits ravenous, so on the 15th day of the lunar month, members of the Chiu Chow community do their best to appease them by offering fruit, meat, and pastries. 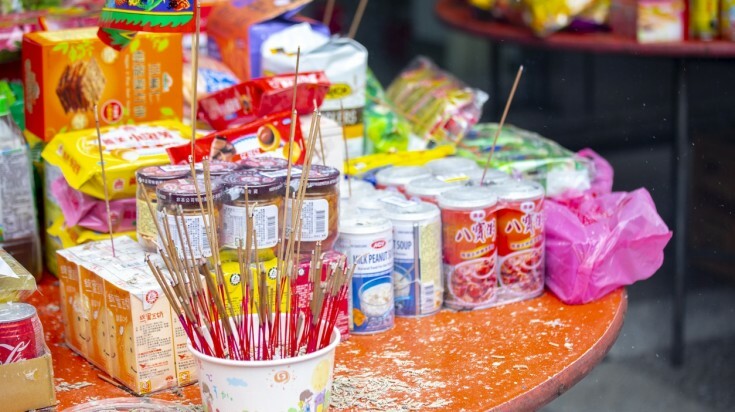 Hell money and paper goods are burned for spirits to use in the afterlife, while lanterns and candles are lit to help the deceased find their way back to spritual world — and this is when the Hungry Ghost Festival begins. Although spooky for the uninitiated, the festival is a time for families to reconnect with the dearly departed and an opportunity to make amends for offenses committed against them. Trust in Japan to go all out on a costume party. Flocked by over 4,000 festival goers who are all decked from head to toe in outrageous costumes, the Kawasaki Halloween Parade held in Tokyo every October 28 is the biggest festivity of its kind in the country. This large-scale costume parade draws 130,000 spectators from around the world and features wacky parade floats and performances from DJs and musicians. First-timers who want to take part in the festivities should know that this isn't their run-of-the-mill costume party. In true Japanese fashion, costumes are taken very seriously with most clad in larger-than-life costumes, theatrical face paint, and prosthetics. To participate in the main parade, you must have a costume ready, fill out an application form, and pay about USD 9*. Often touted as a cross between Halloween and a carnival, the Fastelavn celebrated in Denmark is a yearly tradition enjoyed by children every February. During the festivities, children wear costumes and go door to door for candy and delicious cream-filled buns called 'fastelavnsboller'. Akin to the Mexican piñata, children’s parties often include a parlor game called 'slå katten af tønden', or 'whacking the cat out of the barrel', where children take turns whacking a barrel decorated with images of black cats. Dive into the past and you'll discover that today's benign Fastelavn is rooted from darker and more heinous origins. Historically, Danes would put a live cat in the barrel, and the beating of the barrel and the cat was a practice done to ward off evil spirits. Today, however, the cat is cardboard and the barrel is filled with sweets. Whew! Nigeria’s Northern Igbo believe that every two years, a massive return of the dead occurs where the dearly departed spend up to six months communing with the living. During the festivities, the spirits are welcomed back into the world with feasts and drinking, summoned into their former homes, and sent off with an emotional departure that involves a theatrical Odo masquerade. To bid the spirits goodbye, masked actors reenact the excitement of their visit and the profound grief of their departure. Houses decorated with "witches" for Walpurgis Night. With dark origins of devil worship, witches, and pagan sacrifices, today’s Walpurgis in Germany held every April 30 is a family-friendly event where kids are more than welcome to attend. As opposed to the traditional practice of honoring the dead in most Halloween-like traditions, Walpurgis Night in Thale commemorates the folkloric get-together of witches as they fly in atop their broomsticks to the highest peak of the Harz Mountains. 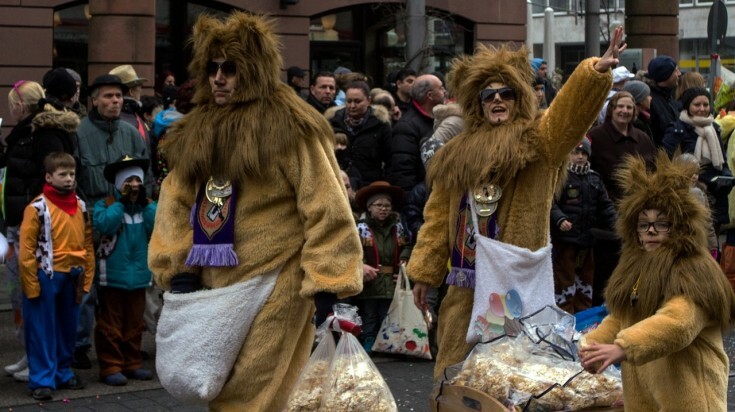 Celebrated all throughout the Harz region in around 20 festival locations, the all-day event includes costume parades, bonfires, bands, comedic performances, and streets flanked on all sides with food and crafts stalls. Correfocs in Spain is celebrated with a lot of fireworks. It might be frightening for the uninitiated to be a part of a Correfocs in Spain, but for the locals in Catalan, it’s a commonplace event that’s held to commemorate just about anything. A popular inclusion to holidays and public celebrations, the festivity is one big pyrotechnic party that involves blasting fireworks among crowds of spectators. Though it may sound dangerous, participants are geared for the occasion and injuries happen rarely. 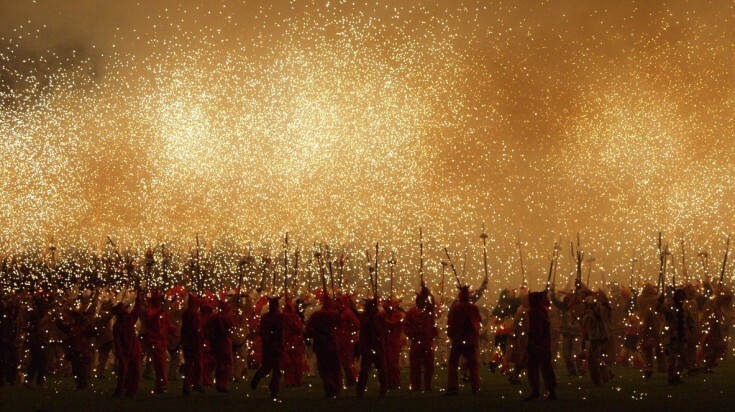 The Correfocs dates its origins back to the medieval practice of Ball de Diables (Devil’s Dances) — a theatrical performance where actors masqueraded as devils and recreated the battle between Good and Evil. Millions celebrate Halloween around the world, but only a few know of its Celtic roots. Held every October 31 in Ireland and Scotland, the Samhain festival (Samhuinn in Scotland) found its origins 2,000 years ago as it marked the middle ground between summer and winter when the division between our world and the spirit world is at its thinnest. During this time, the living would summon their deceased ancestors while hiding from evil spirits by wearing masks and costumes. Today, these practices are carried over to the Halloween we now know, albeit more Christianized and child-friendly. The Samhuinn Fire Festival in Scotland commemorates this day with costumed parades, fire-dancing, wild drumming, and acrobatics. 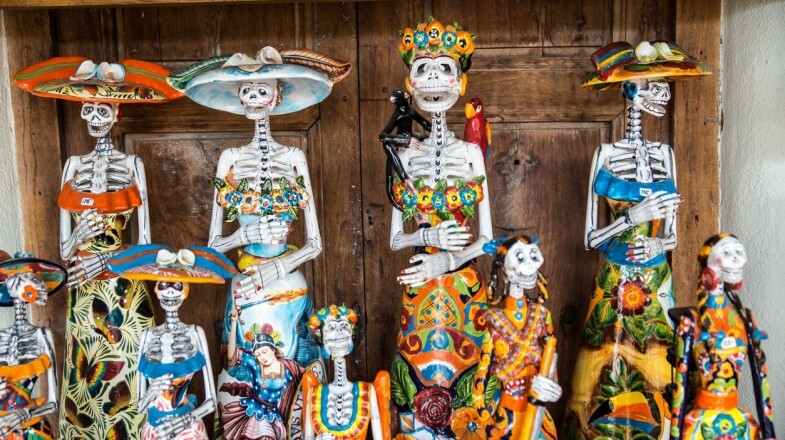 From grim and ghastly to fun and festive, it’s no surprise that different cultures have different ways of celebrating life after death and connecting with the dearly departed. There’s a common truth that spans nationalities and languages — the more we embrace death as a part of the human experience, the more we appreciate life as we live it.